In spite of decades of neglect, this little house that you pass every time you drive between Puerto Armuelles and the Frontera is still intact. The house is located about 300 meters outside the town of Progreso. It caught my eye and piqued my curiosity, so I did a little research. The little gray wooden house is built up on stilts in the typical old style of the tropics. It was constructed around 1914 to 1916, by the US company, Panama Sugar Company, which had been doing business in the Antilles. The company planted over 500 hectares of sugar cane crops and established a mill in the village of Progreso. 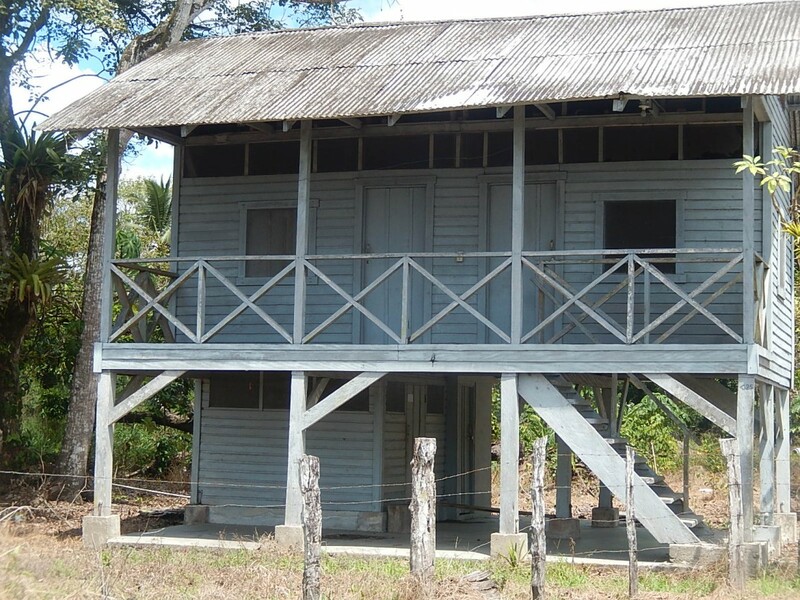 A little wooden house that is 100 years old and still standing strong in the tropics is quite a feat! It was originally occupied by Mr. Morgan, the first foreman of the Panama Sugar Company. In 1924, when the farm closed, the property was seized by the Bank of Halphen Brothers in David. 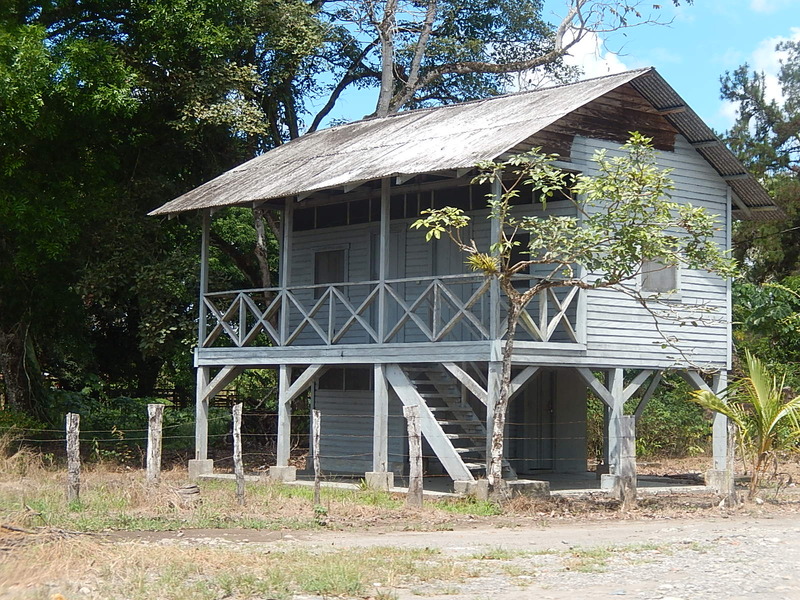 Then, in 1927 the house became the property of the Chirique Land Company, which used the little house as a meeting place for the banana clerks. They reached it via rustic trails because there was not a road back then. It was also the home office in charge of the airport. See an old photo of the house HERE. What is this tiny house being used for today? That will have to be a follow-up report. If you know, please comment below or contact me via email at editor@visitPuertoArmuelles.com. In the meantime, with the rich history we have surrounding Puerto Armuelles, wouldn’t it be nice to preserve some of these old buildings and have them declared a “Historical Monument”? Subscribe today to get alerts of new property listings & news in Puerto Armuelles!